I haven't had time to actually sit down and make something in ages. Which sometimes drives me crazy, because creating and writing and taking photos is very therapeutic and centering for me. I know there will be time for it all in the future at some point (possibly the near future, now that my youngest is starting to sleep better at night—knock on wood times a million). I would like to revise the above saying to the following: You make time for the stuff you love most, especially your children and eating a hot breakfast every morning and reading books that make your soul happy and having an empty sink at the end of the day. Then sometimes you magically create time like some sort of wizard to do the things you love and have no actual time for. For me, these things include: reading magazines the month I receive them, crafting and creating, painting my nails, drinking a cup of coffee before it goes cold, time away with my husband, time away by myself, sitting down to focus on writing something more than a few small paragraphs. For the past couple months, I've been in the midst of a rather intense organizing and simplifying of our apartment and the things inside, and I decided to pull out a box of felt I had tucked away in our closet—determined to find a way to actually make something out of it. 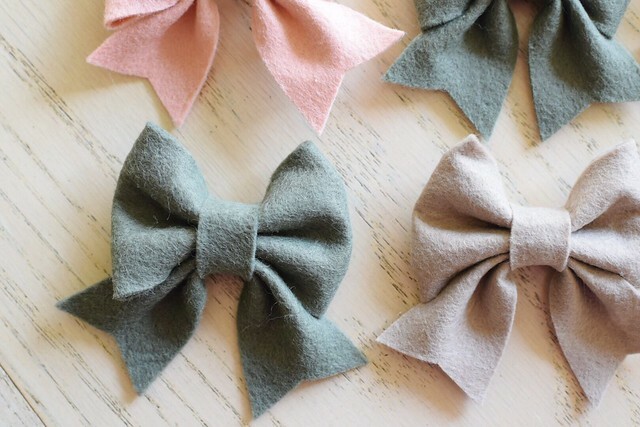 I found a ridiculously simple tutorial for making felt hair bows and spent a couple evenings making a bunch of them. Ah, yes. Sweet, crafting satisfaction. I recommend trying out this tutorial from Craftiness is Not Optional (this blogger has other free tutorials on her site that I love)! 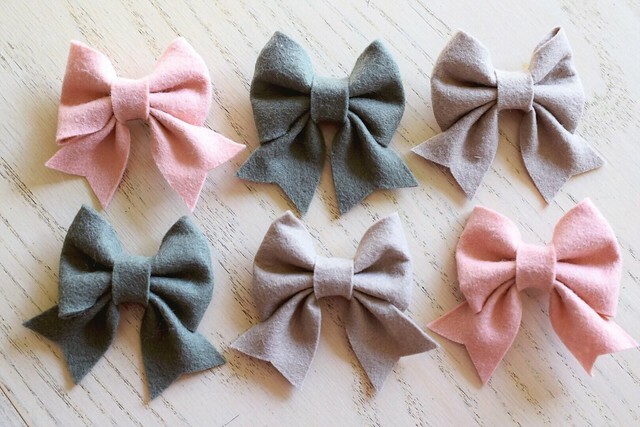 All you need is a printer to print out the pattern, a hot glue gun, some felt (I've ordered most of mine from Wool Felt Central), and whatever you'd like to glue your finished bow to (so far, I've used simple hair clips and some headband elastic). 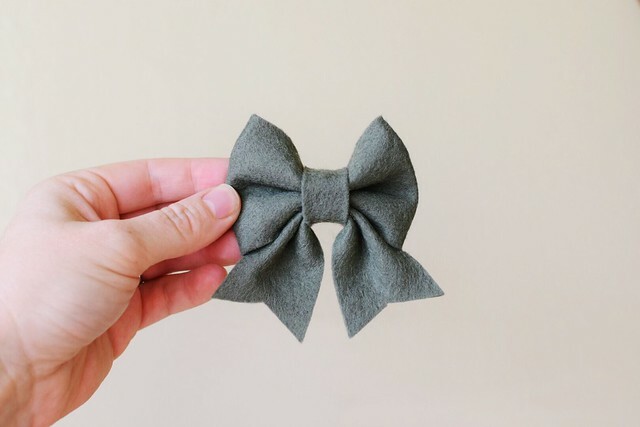 I think these bows turn out beautifully and end up making you feel like you've made something quite impressive, even though they're ridiculously simple and fool-proof. These sorts of projects are my favorite these days. And I'm always reminded of how much joy it brings me to create something. A lot of people are talking about things that give you life these days, and lately I'm much more aware of the things that give me energy and inspiration and joy. Creating is one of those things for me, and this year I'm determined to make it happen more often. Ummm, these are so sweet!